Interesting story, thanks for sharing. It’s not just mainland Chinese airlines that have a policy of room sharing for passengers who don’t know each other. I experienced something similar with Cathay Pacific during irrops in the Middle East once, and where I was told that this was standard practice for economy passengers (though a post-flight apology from the airline contradicted this). Like you, adopting a no-nonsense, belligerent approach did the trick with the hotel’s front desk. But many others just accepted it and vowed never to fly Cathay again because of it. What a horrible experience. Thanks for the warning. A Coffetel is probably the same as a Sofitel. Just a word someone thought sounded nice. At PEK there is a small transit hotel in Terminal 2 one level down from the arrivals level. 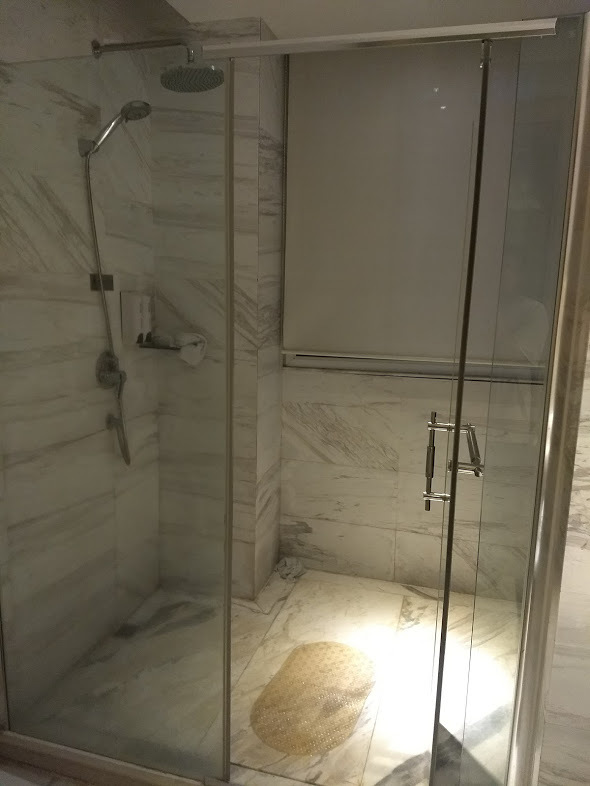 Some rooms have a bath with a shower. Some are just sleeping rooms like a Minute Suites room. 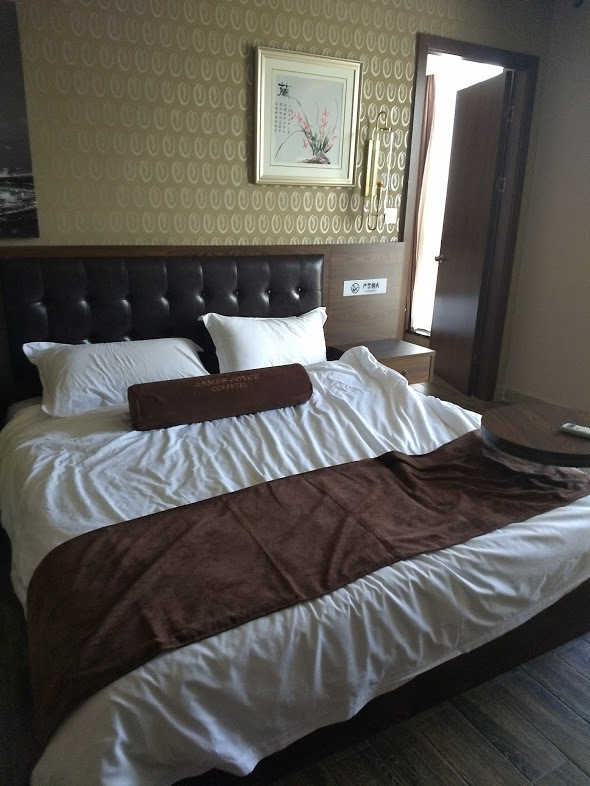 If staying several hours, the best deal is to pay for the much cheaper sleeping room, which is private b/t/w, then rent the more expensive room with the bath for an hour when you want to shower. 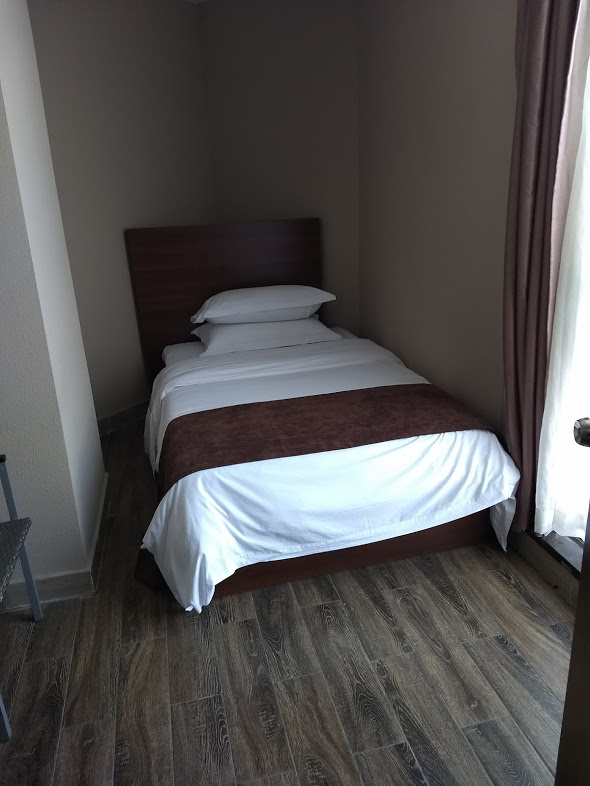 The hotel in the airport saves the hassle of transporting to/from a local hotel, although there is a desk just after exiting customs that can arrange a local hotel and transportation for you. The reps at that desk and the transit hotel have always been able to speak decent english. If I’m not mistaken, I think this is where Hainan Airlines puts you when transiting Beijing. However, I was flying Xiamen and Beijing was my final destination; I didn’t transit there. I’d like to know….is it allowable to sleep in the Xiamen airport? Sounds like if you are willing to rough it , that might be the best option? Or do they close it down late at night? One guy ended up stuck there overnight in the baggage claim area. Doesn’t sound like he had much fun! I’m thinking in getting this flight but from Osaka to LA and there’s a 20h layover, I’m actually more worried about my baggage… did you collect your baggage or it goes directly to the next flight? I’m worried because it’s a lot of time and I don’t want to lose my belongings. This was very helpful thank you! 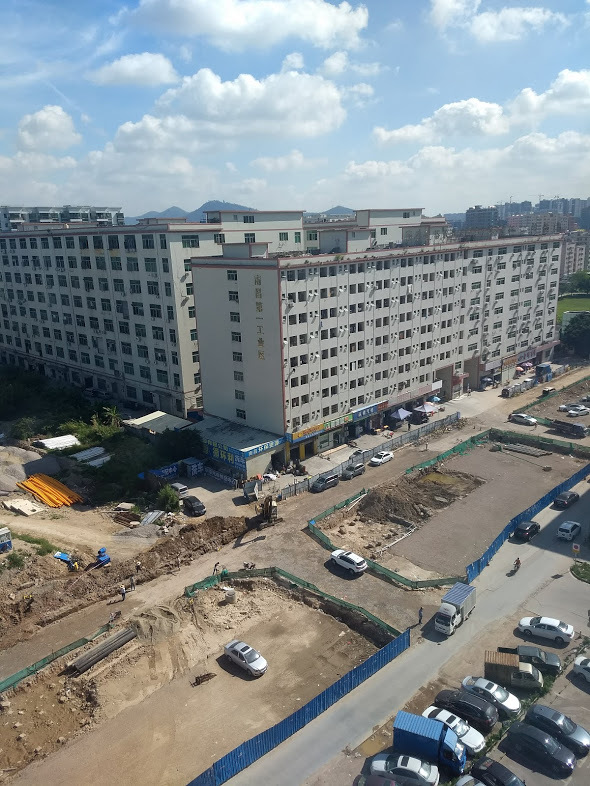 You’re required to carry your bags through China Customs at the initial point of entry so you should be fine regardless, but Xiamen Air treats some of its domestic flights between Shenzhen and Xiamen as international for this purpose. Accordingly, the best thing to do is to ask that your bags be “short checked” only as far as your layover city when you check in. 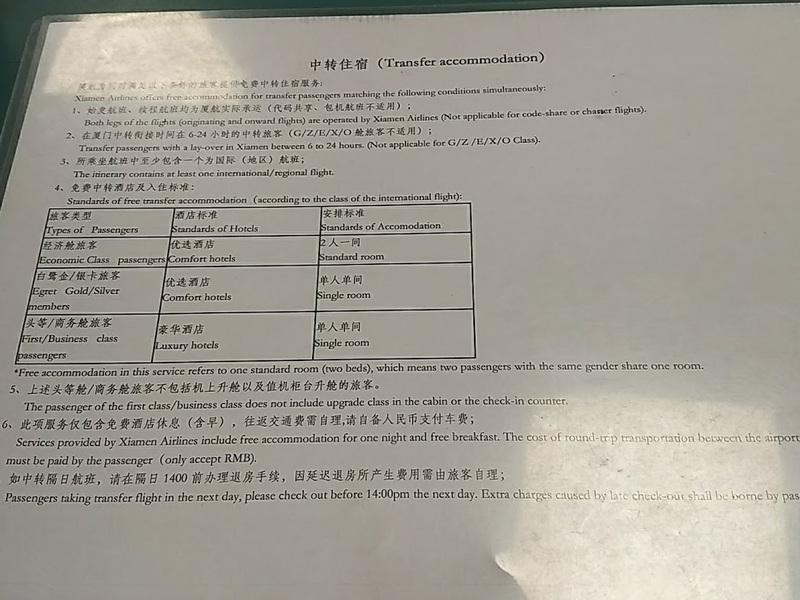 There is a left-luggage service – open until “the last flight” arrives, just outside of the customs hall (in XMN) right as you walk towards the transit desk (where you get your hotel vouchers). The charge is around RMB10-20, per 24hr period, per piece and varies on item size. Bags are xrayed before acceptance and you pay when you give them your bags (not at pick up). You get a reclaim tag to show when you come back for your bags. One thing to note, the left luggage is NOT open 24hrs… it closes “after the last flight” arrives for the night (which looks to be around 00:00 or so), and reopens at 05:30 in the morning. I used it, and it did in fact open at 05.30 to the minute.. and given that most MF international flights open check-in no earlier than 6:00 (for the first-of-the-day departures) this worked out just fine. Took me less than :05 to get my bags back. I fly BKK-XMN-SEA a few times a year and this is how I mitigate the hassle of dealing with my checked baggage on the forced layover in XMN. 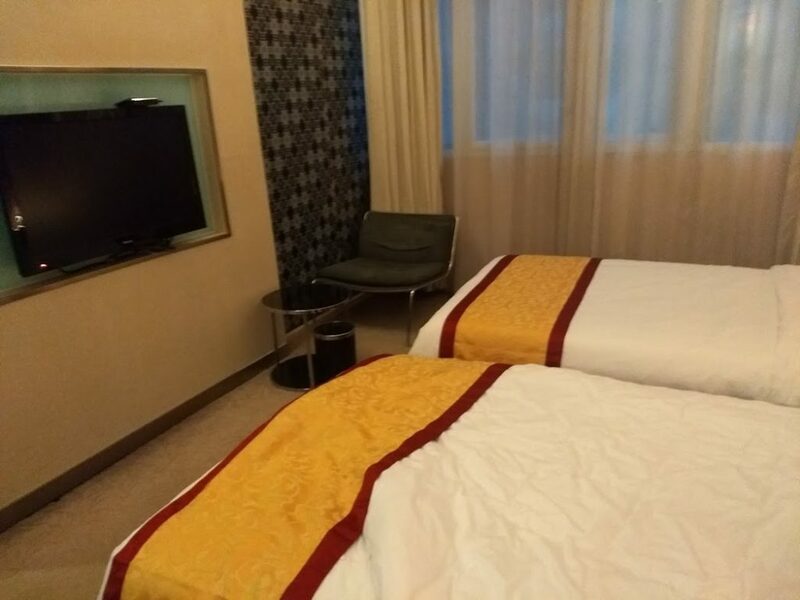 It does add about 20 to 40 RMB (about $3-$6) each way to the total trip cost – but in my opinion, that’s a cheap price to overcome carrying my 2 checked bags to and from the hotel. What I tell people is that on the cost-side alone, you should add into to MF price about $28 for taxi (to and from the airport, two times- for a round trip ticket) plus about $6 (about $3 each way) for baggage storage charges.. so a total add-on of about $34 in total..
But… I can’t put a dollar value on the added travel time (around 15 to 20 hours as opposed to taking a more traditional same-day connection somewhere else in Asia like Tokyo, Seoul, Taipei, etc) nor the “hassle” factor.. for that, everyone has to make that value for themselves. Thanks for that info! Sounds like I’ll be sleeping in the airport. Did you have any experience with using the Xiamen lounge? I wonder if they make that difficult too. Sorry, I didn’t try to use the lounge. It’s available as an alternative to the transit hotel, but it isn’t open 24 hours. It was all explained in the website. If you fly economy, you share a room. You fly business class you get a luxury room ALONE! Flew Xiamen business class and easily one of the best experience. Definitely no SQ or CX. But for that price, I don’t expect them to be. When you pay less, expect to get less. 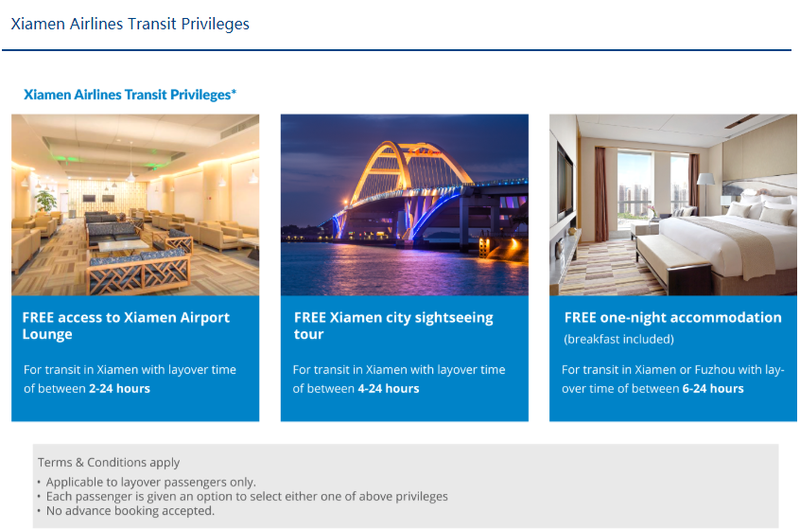 I’m traveling with my husband and thinking about using the transfer offer Xiamen airlines provides. Will we still have to share a room with a stranger? No. The rule is two people to a room, so you will be able to share the room with your husband. Hi, thanks for the info. It was very helpful! 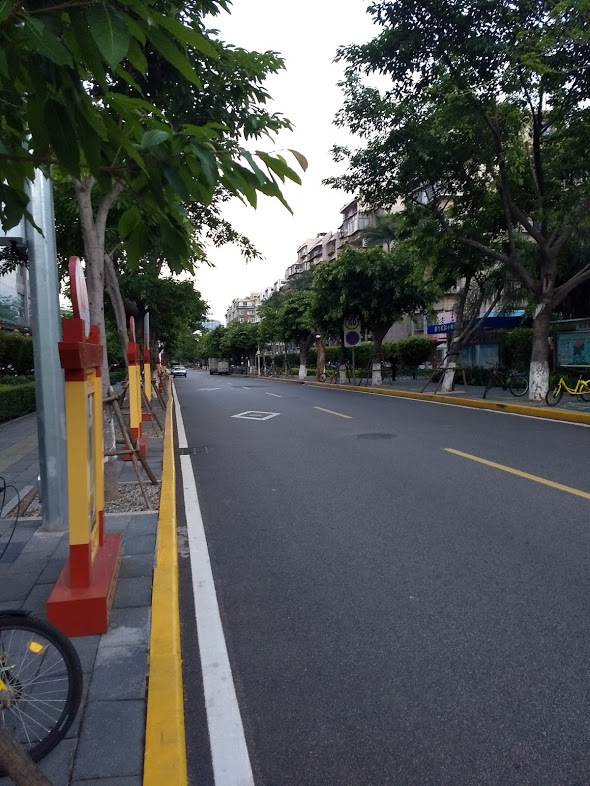 As for the taxi from Xiamen to the hotel: about how much should I expect to pay? As to not get ripped off myself if I can’t talk an employee to help me out lol. Thanks! It will depend what hotel they put you in. My taxi cost RMB 40 or so (a little over $6) but your mileage may vary.